The Kannur District Tourist Promotion Council (DTPC), in collaboration with Vishwas Foundation, has organized a paramotoring Fest at the Muzhappilangad Drive-in beach. The event, kick started on March 4, will be concluded on March 18. The event, named ‘Fly High’ has been organised to woo youngsters into paramotoring. A motorised glider will carry the passenger to a height of 200 to 300 ft above the ground and will fly for 15 minutes. The authorities are seeing a possiblity of extending the dates beyond March 18 as the schol holidays are to begin. 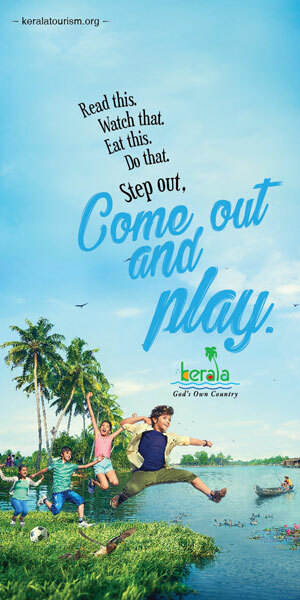 “The ‘Fly High’ campaign will give boost to the DTPC’s already-launched beach tourism campaign,” said Jitheesh Jose, DTPC Secretary. Muzhappilangad is the lonegst drive-in beach in India.